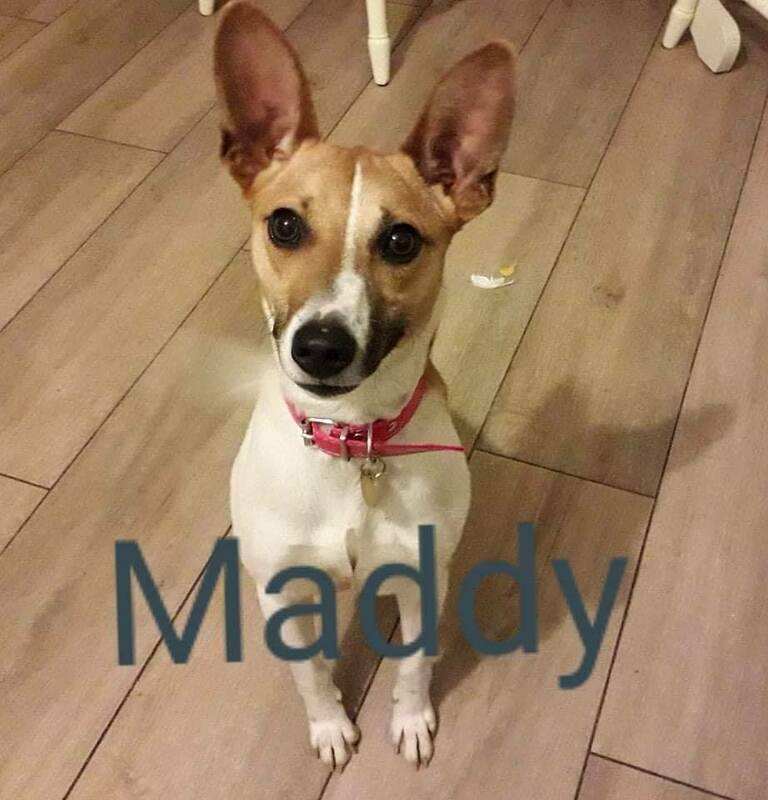 Maddy is a 1 year old small to medium sized terrier. She’s a lively, affectionate lady who loves to play all day and cuddle all evening. She is good with adults, children and other doggies. Maddy a medium energy girl who needs a good daily walk and would love a playmate. She is adorable but she has her own mind as she is intelligent. That said she is eager to please and a such a quick learner. She will need an owner who is not a push over with her. Maddy is house trained, crate trained and lead trained. She also knows sit and high 5. Maddy has been spayed, fully vaccinated and microchipped.